I was a little nervous about running the Rock'n'Roll Raleigh after what I witnessed there last year. 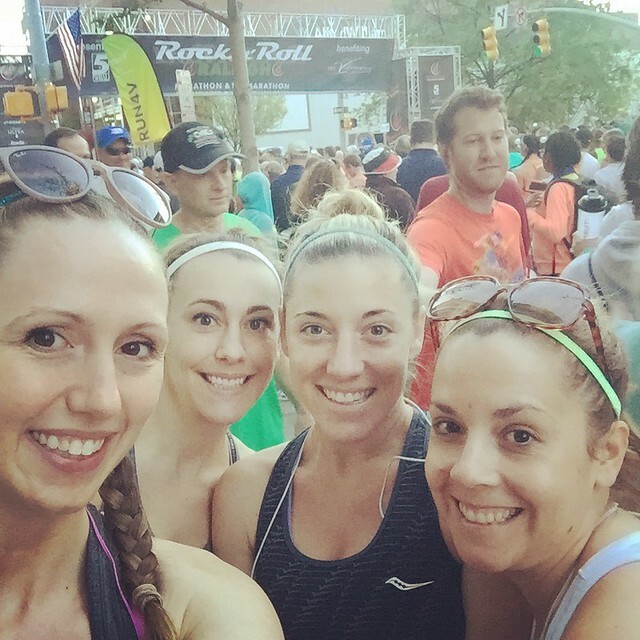 But I was so excited to sign up for a race and run with Leeanne and Danielle, that I figured I would just push any apprehension aside and go for it. Boy am I glad that I did! Not only was the race really great (although it felt hard with all of my slower running in 2015 compared to 2014), I had such a great time hanging out with Leeanne all weekend! Saturday, Leeanne and I spent the day driving, shopping at the expo, and walking around the down town of Raleigh. 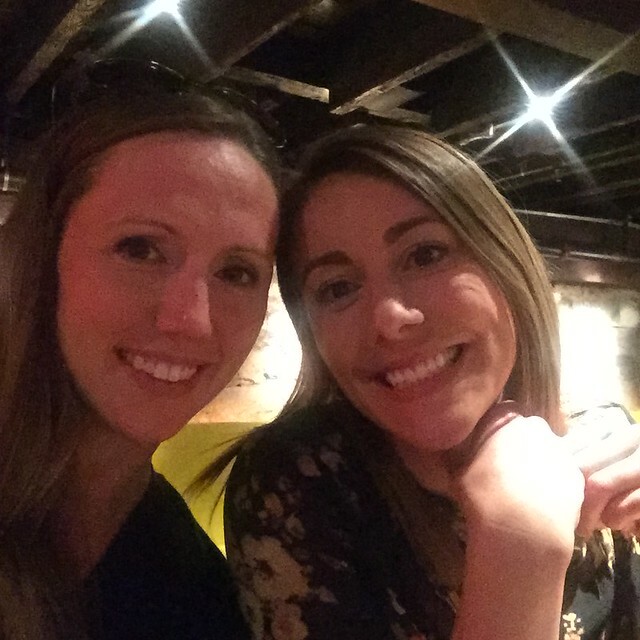 We were able to find a great gluten free/vegetarian restaurant (each of our dietary restrictions) really close to the hotel called the Fiction Kitchen. It was nice to not worry about eating something that might make me sick the night before a race! The food there was really wonderful and it's worth a stop in if you're ever in the Raleigh area, even if you don't eat either GF or Veg. Just like last year, we stayed at the Raleigh City Center Marriott, just a block from both the start and finish lines! It was incredible to go down to the start just a few minutes before the actual start of the race!!! Brittney and Danielle came up to our room before the start, and we were able to relax and hang out before heading down to the starting line. 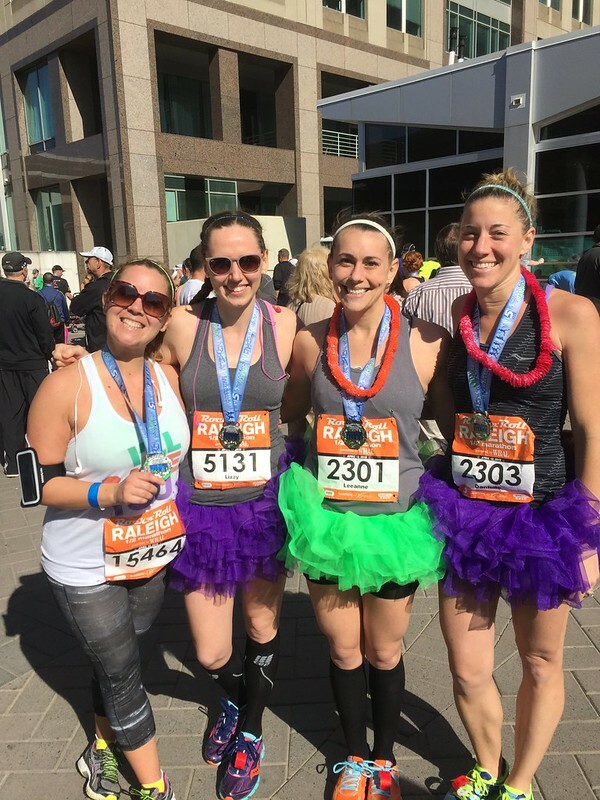 Danielle, Leeanne, and I all wore tutus and started the race together. It was fun running together in costume because everyone kept yelling "go tutu!" We ended up sticking together for the first 8 miles, and aside from walking for 10 seconds to get water 2-3 times, I ran all 8 of those miles! I think that is my longest stretch of continuous running ever, but I might have gone a little further during either my first marathon or my most recent one... either way, it really ranks up there!! The hills, even though I knew what to expect, and that much consistent running really took a toll on my legs and I felt really gassed by the time I started my intervals. Of course during a nice down hill at mile 10, I pushed kind of aggressively (8:00 min mile, after running consistent 8:55s before then), and ended up paying for it during mile 12, running a 9:45. I fought to finish under 2 hours, coming in at 1:57:21. 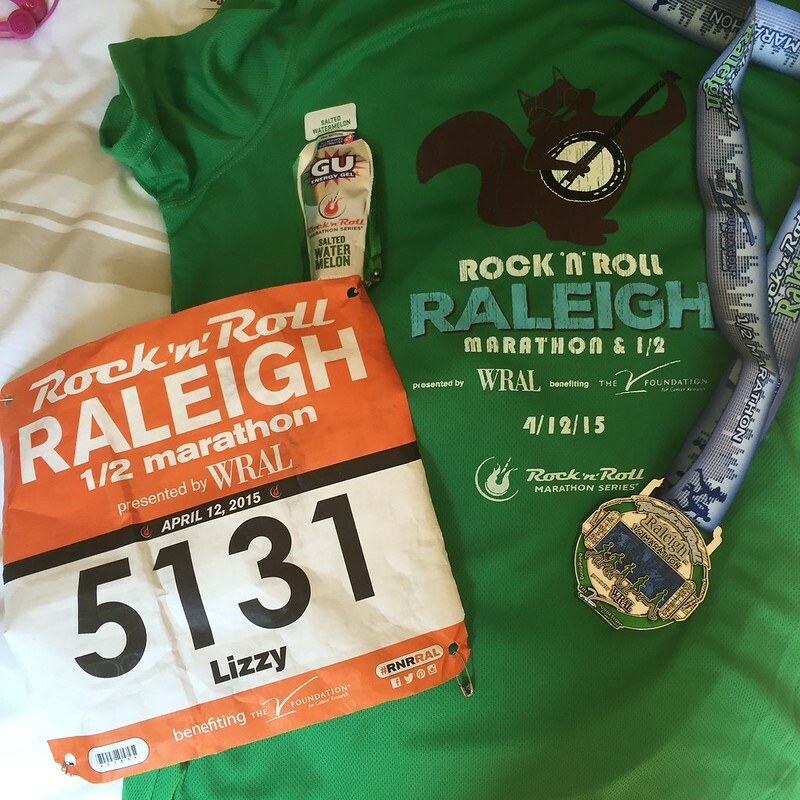 All in all, the Rock'n'Roll Raleigh 1/2 Marathon was a great experience this year. It was Brittney's first half, and she actually didn't think it was nearly as bad, hill wise, as the rest of us! It was a lot of fun traveling with Leeanne and exploring a new city with her. I liked it so much, that I have already registered for next years race! 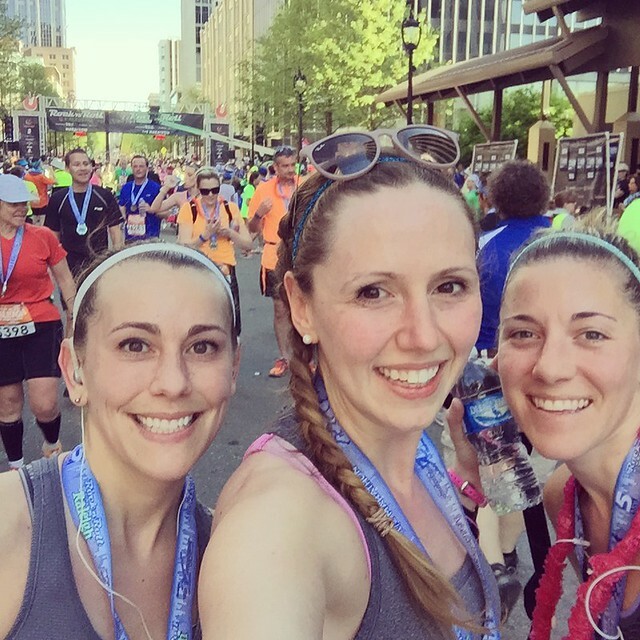 The only downside to running Raleigh this year was that I missed the Cherry Blossom 10 Miler (that wasn't quite a 10 Miler this year). Luckily, in 2016, they are being run on different weekends!